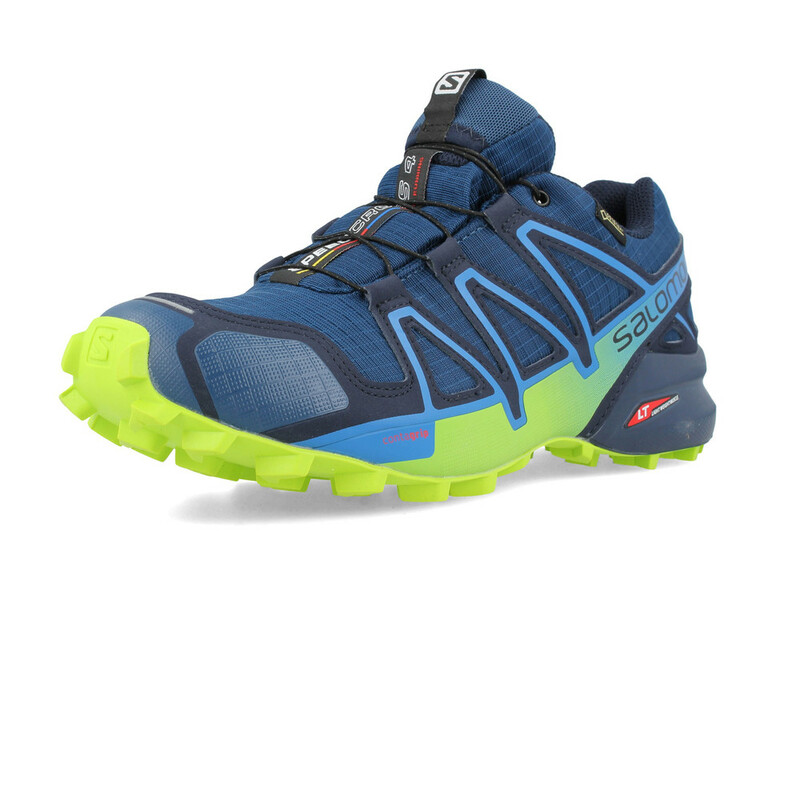 Conquer any trail in the new Salomon Speedcross 4 GORE-TEX Trail Running Shoe. 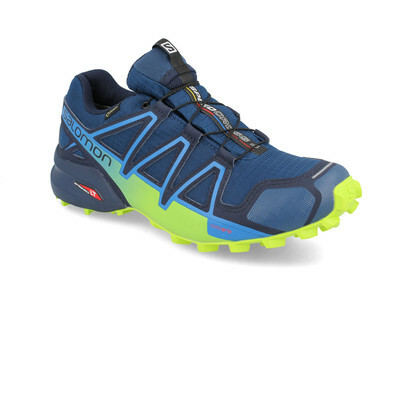 This special edition includes a GORE-TEX upper, which keeps your feet dry whilst out battling the trail. The latest iteration in the revered Speedcross series, the Speedcross 4 features an updated outsole pattern for even greater traction and higher durability, to keep you moving forward no matter what the trail throws at you. "Great shoes for running and hockey, good grip and support. Bought before and will buy again." "Awesome shoe. Light weight. Good size / fit." The Speedcross 4 GORE-TEX edition features a fully waterproof, highly breathable GORE-TEX upper. The GORE-TEX fabric actively wicks moisture away from the wearer's foot, whilst preventing water from penetrating into the shoe. The result is an extremely comfortable and dry run, no matter how hard you hit the trail. The upper is also lightweight and abrasion resistant, with highly-durable materials deployed around high-wear areas to minimise damage to your shoes from rocks and branches. The durable PVC Toe Box provides further durability and impact protection. The addition of an Anti-Debris Mesh and a Gusseted Tongue provide the wearer with further protection by preventing pebbles and other debris entering the shoe and causing discomfort. 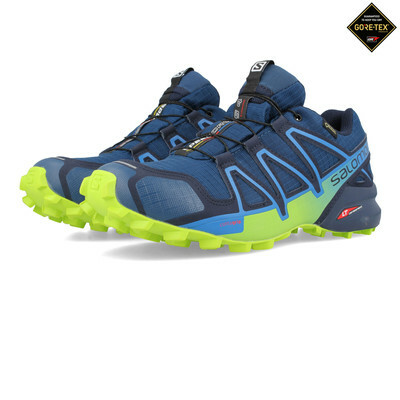 Externally, the Speedcross 4 GORE-TEX features Salomon's Quicklace system, which provides one-pull tightening for a secure fit and easy on/off: simply pull the Kevlar string and the shoe will close evenly for a better fit, which delivers precision adjustment and a secure lockdown. A Lace Pocket has also been included in the design to provide easy storage and prevent your laces getting in your way or getting damaged whilst on the trail. Sensifit technology works in tandem with the Quicklace system to cradle the foot from the midsole through to the laces to provide a stable, precise, and snug fit for enhanced support. The midsole has been designed and constructed with responsive cushioning in mind. Salomon have created the Speedcross 4 GORE-TEX's midsole to provide supportive comfort whilst retaining a lightweight. 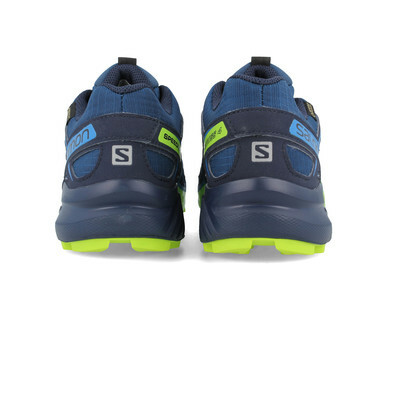 The midsole utilises a dual fusion of Salomon's proprietary LT Muscle and Injected EVA cushioning systems. LT Muscle provides lightweight, highly durable cushioning, whilst the Injected EVA provides soft cushioning throughout the full-length of the shoe. 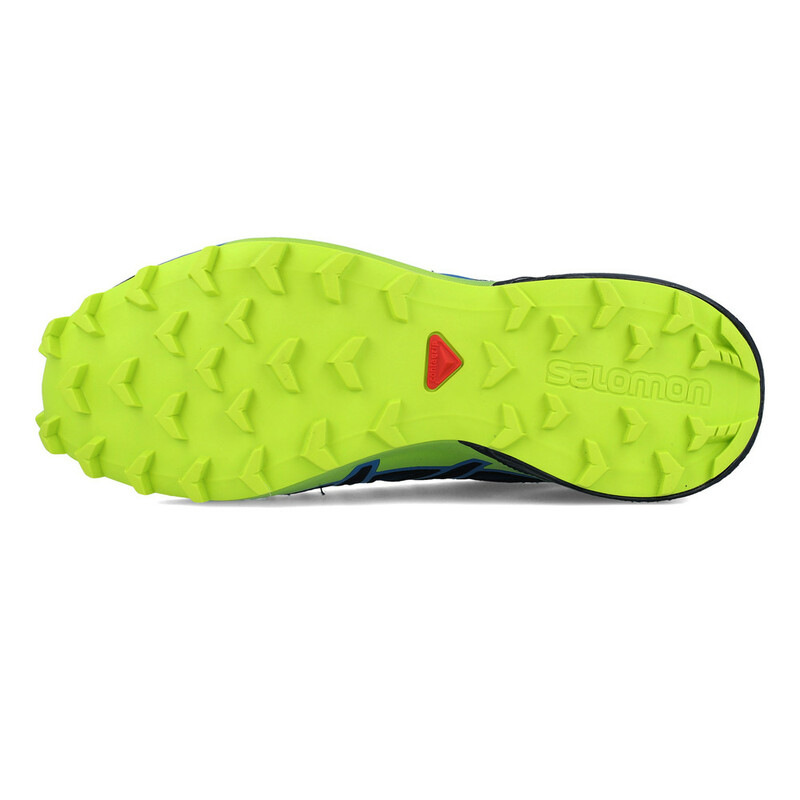 The two midsole compounds have differing densities and consequently work together to provide both cushioning and support throughout the gait cycle, whilst also providing responsiveness to enable you to feel the contours of the ground beneath you. Finally, an OrthoLite Sockliner provides plush underfoot cushioning within the shoe to give greater support and comfort. The sockliner has been imbued with anti-microbial properties to provide long-lasting freshness. 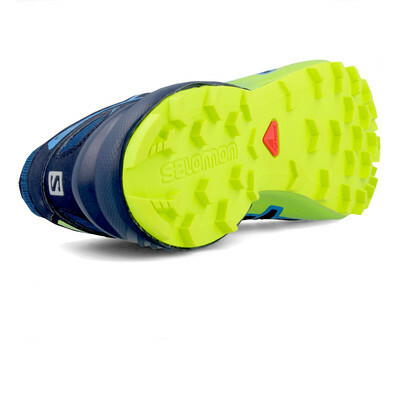 The traction pattern has more arrow shaped lugs that have been added to further improve grip. The outsole is constructed from highly durable, non-marking Contagrip rubber, which provides long-lasting traction on multiple surfaces. 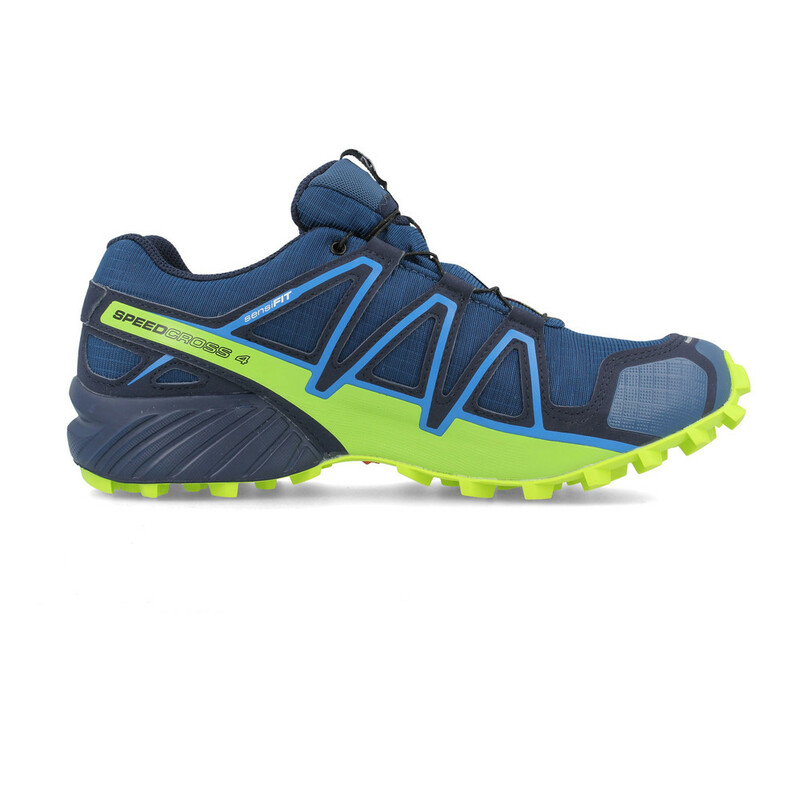 The aggressive 6mm Wet Traction Contagrip lugs are designed specifically to cope with the demands of wet and slippery trails, and consequently they provide floor-fighting grip throughout the gait cycle regardless of what terrain you're running on. Finally, Salomon's Mud Guard protects the base of the shoe from clogging up with mud, thereby ensuring that your shoes maintain the maximum grip and the minimum weight during your run.